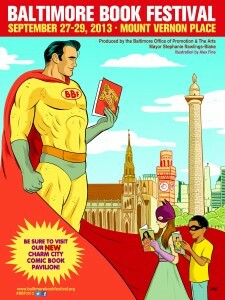 I’m very psyched to have been invited to join the Maryland Romance Writers at next weekend’s Baltimore Book Festival! Come join me and check out all the awesomeness. We’ve got some AMAZING authors and fun panels, signings, and giveaways going on at the Maryland Romance Writers Stage! Come join in the fun and say hello! I’ll be milling around from Friday evening to Sunday morning ish and participating in some great panels – The full MRW schedule is below, with panels in which I’ll be participating in bold. Can’t wait to see you there! 12pm AUTHOR MEET AND GREETMRW Authors will be on hand for a casual meet and greet with readers. Come talk about books, receive promotional materials, and browse the Ukazoo bookstore! Indulge your chocolate cravings with dark and delicious chocolate samples from MRW while authors talk about the entertainment appeal of romantic fiction and share readings from their latest works.